If there is one thing that is often calculated to get the polemical blood flowing in the veins and send one rushing to the barricades, it is the origin stories in the Book of Genesis. One’s understanding of those first eleven chapters in Genesis involves much more than simple matters of exegesis. It also involves how one views the interplay of science and religion (and possibly the topic of whether creation or evolution should be taught in public schools), how one views the Fathers as guides, how one views the authority of Scripture, and how one deals with the question of literary genre in the Scripture. Does “true” mean “literally true” or is myth a valid Scriptural category and genre? Opposing sides usually square off and take deadly aim at each other, with one side deriding the other as mindless fundamentalists and the other denouncing the other as godless liberals, and both sides alike feeling the warm glow of self-righteousness that comes when demonizing the other. It is as if the Scopes Monkey Trial were still ongoing. Given so much controversy and confusion on the topic, I felt the need to deal with the topic from the perspective of someone who believed that the Fathers are authoritative guides and that Scripture is the Word of God. I also believe that all truth is one, so that a pious heart should not fear the conclusions of modern science, history, or archaeology, and that all truth is welcome in God’s Church. A pious heart must find a way to listen to truth from whatever direction it comes and find a way to combine all truths into a harmonious whole. 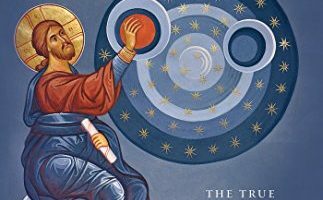 It is not as if the quest for human knowledge stopped with the death of St. John of Damascus or that a commitment to the Fathers consists simply of numbly repeating everything they said with no addition or reflection. The Fathers themselves would not approve of such an approach. Fidelity to the Fathers means not just sitting at their feet, but also standing on their shoulders and continuing to learn. What differentiates this approach from heresy (for of course all heretics claimed to be faithful to the Fathers) is a continuity of one’s conclusions with the Church’s original doctrine regarding God, Man, and salvation. I believe that the task of the Christian Biblical interpreter is two-fold: he or she must first discover what the text meant in its time and how it would have been understood by its original hearers. This is the primary task. He or she must then seek to understand what the text tells us about Christ and His Kingdom. I tried to fulfill this task in my commentary on the Book of Daniel, and my commentary on the Song of Solomon. I have also tried to do so in my new commentary on the origin stories in the Book of Genesis, entitled In the Beginning: the True Message of the Genesis Origin Stories. I would not give away everything in the book (I would like you to buy it, please), but I will mention something from the book that perhaps not everyone knows. Did you know that the first chapter of the Book of Genesis teaches that the sky is solid? We know that the sky is not in fact solid, and that the rain which pours down upon the earth comes from the clouds. We perhaps therefore imagine that by the term “the waters which are above the heavens” (Genesis 1:7, Psalm 148:4) is meant the clouds. When we read in Psalm 104:2-3, “He stretches out the heaven like a tent curtain, He lay the beams of His upper chambers in the waters” we again assume it must refer to the clouds, even though clouds are not strictly speaking “waters” but only contain water. The clouds are only mentioned after these waters in v. 3, and then they are compared not to water or water containers, but to chariots. But we know that water comes from the clouds and that the Bible cannot be wrong, so we read our modern science into the text. Stepping back from modern science for a minute and letting the Genesis text speak for itself gives us a different picture. Follow the narrative in Genesis chapter one carefully: first everything was just a watery abyss over which the Spirit of God was moving (v.2). Then God created light—but everything illuminated by the light was still water (v.3). Then God created a raqia’ in the middle of waters, dividing it into two—the waters above the raqia’ and the waters below the raqia’ (v.6-7). The Hebrew word raqia’ is translated by the Greek stereoma, which is cognate with the Greek word stereos, which means “firm, hard, solid, strong”. In the King James Version it is translated by the English word “firmament”, from the Latin firmamentum. As one can see, the idea is that the raqia’ which keeps the waters apart is solid and strong—as something would have to be to keep apart such tremendous volumes of water. We read this narrative about there being a sea below (kept separate from the land after God gathered the waters into one place; v. 9-10) and a sea above, and then we promptly forget it because it conflicts with our current cosmology and with how we know things actually are. There is no sea above the sky, and the sky is not solid. The sky is air, which continues upwards until it thins out and becomes outer space. But the Scriptural teaching is still quite clear: the sky is solid and above it is another sea. Thus in Job 38:17 Job’s interlocutor asks him rhetorically, “Can you, with Him, spread out the skies, strong as a molten mirror?” The story of Noah’s flood presupposes this, and it says that on a certain day “the fountains of the great deep burst open and the windows of the skies were open” (Genesis 7:11). Then later “the windows of the skies were closed and the rain from the sky was restrained” (8:2). It couldn’t be more clear: the rain came from the seas above the sky when the windows in the sky were opened. The clouds in Scripture are present as an image of speed, not as the source of rain. So how are we do deal with this, and harmonize it with all that we know about our world? How are we to read the entirety of the creation narratives, and how are we understand all the stories in the early chapters of Genesis that seem to conflict with science and history? These are very good questions. How very exciting to see you devoted an entire book to the ‘beginnings’ of Genesis! After reading the preview I am very much looking forward to reading the remainder of the book. I can tell already that it will bring clarity to the many questions I’ve had. It is going to take time to readjust my presuppositions, but I look forward to it with joy! Ancient Faith sends me emails when new books come out. As soon as I saw your book and its title, I bought it. Growing up, I was taught to believe in the literalism of a 6th day creation and watched people use all sorts of mental gymnastics to try to put the two creation accounts together. 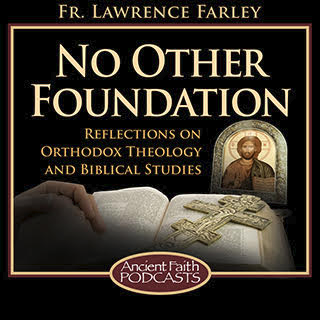 Thank God for the richness of Orthodoxy! And thank you, Father, for sharing your insights with us. Thank you, Laura, for your kind words. It has been a long exegetical journey for me also. As a Jesus People, I also was taught a literal approach to Genesis, and that any other approach was “liberal” and ungodly. I was also taught to regard the Genesis account as a kind of test, a shibboleth which could separate the sheep from the goats. It is better to read the Genesis creation stories in their cultural context. How do you deal with the “Paul’s typology between Adam and Christ breaks down if Adam was not a literal person” objection? I’ve found Peter Enns’ “The Evolution of Adam” immensly helpful in this regard, though I’m sure he’s currently going off the deep end or WILL SOON because his Protestantism doesn’t give him any way to discern the cultural package from the eternal truths of scripture. A blessed feast to you also! Thank you for the link about Collins. I deal with the NT material in my book, assuming you can find a copy somewhere. In brief, Paul’s point is not the historicity of Adam, but the centrality of Christ. Rather like the Lord’s words about Jonah being in the belly of the fish for three days and nights, the truth of Christ’s resurrection is not dependent upon the reference being historical rather than literary. If I said to a young couple, “Your relationship will end badly, just like Romeo and Juliet”, my point would still stand even though Romeo and Juliet are not historical but literary. But rather than debate further, perhaps I could just commend the book? That’s my take on it too. Maybe I should grab your book. 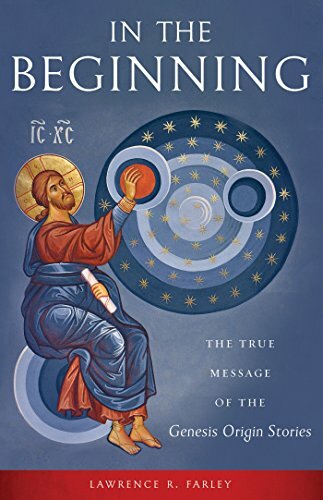 The only other book on this from an Orthodox POV is Dr. Bouteneff’s, which is more geared toward a broadly academic audience than an Orthodox one. I wish there were more. Still looking for “the book” to give to a parishioner on this issue. I take it your book hasn’t had a great reception in the Orthodox community? I’m rattling ideas around in my own head about an Orthodox apologetics book and I would take your approach to this issue. Just wondering if the reception would be one of shock and horror. I suppose it all depends what one means by the Orthodox community. The president of St. Vlad’s thinks it is just fine.